Mirror Lake area very active. "That is some form of harmonic tremor, not the random noise that the two original linked seismographs are recording. This tremor is only being picked up by the single seismograph though, so its quite possible its just some local interference. The ones you want to pay attention to are: BZMT, MSMT, CRMT, and GCMT. An example of another malfunction seismograph is STMT, so don't use that one. QUOTE: Clintonville Wisconsin -- be sure to search the terms ... "marathon wisconsin volcano" ... "caldron reservoir" .. and "lake superior volcanic" . The nuclear power plant to the east is called the Kewaunee plant .. all these sites have ONE thing in common... deep earth shafts... pumped or filled full of water.... add in craton/plate pressure and a bit of deep earth magma surge underneath the plate as it gets pushed by the Pacific unrest... and you get underground explosions in Wisconsin near a dormant volcanic site. Things are still active in Yellowstone. Yosemite seismic activity is up. Yellowstone Update: USGS Deleting Data! Earthquake Swarm This AM: Check Out The Seismographs! Yellowstone is getting active again. Lots of magma activity going on during this solar flare cycle. September 24, 2013 – JACKSON, Wyo. — Until recently, Bob Smith had never witnessed two simultaneous earthquake swarms in his 53 years of monitoring seismic activity in and around the Yellowstone Caldera. Now, Smith, a University of Utah geophysics professor, has seen three swarms at once. “It’s very remarkable,” Smith said. “How does one swarm relate to another? Can one swarm trigger another and vice versa?” Because concurrent swarms have never been detected in the past, the answers aren’t in yet, Smith said. The geophysicist said he “wouldn’t doubt” if at least two of the events were related. Temblors from the three quake swarms mostly hit in three areas: Lewis Lake, the Lower Geyser Basin and the northwest part of Norris Geyser Basin. 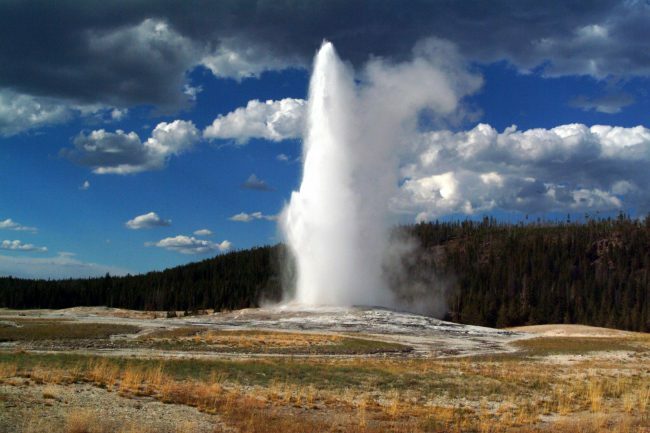 The largest earthquake shook the ground near Old Faithful Geyser on Sept. 15. The epicenter of the magnitude 3.6 quake, the largest in Yellowstone in about a year, was just 6 miles to the north of Old Faithful. “Generally speaking it needs to be 3.0 or higher for individuals to feel it,” Yellowstone National Park spokesman Al Nash said. Yellowstone’s recent earthquake swarms started on Sept. 10 and were shaking until about 11:30 a.m. Sept. 16. 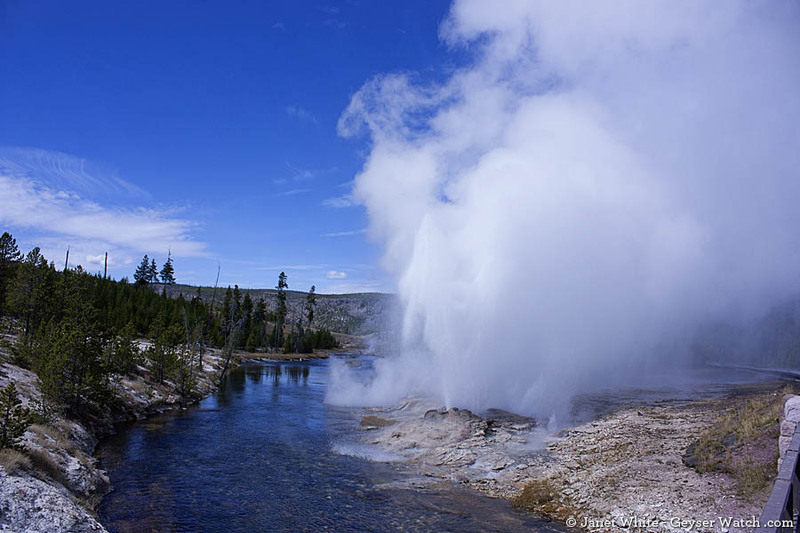 “A total of 130 earthquakes of magnitude 0.6 to 3.6 have occurred in these three areas, however, most have occurred in the Lower Geyser Basin,” a University of Utah statement said. What is known as a Sun Pillar. Yellowstone National Park, Montana, USA. Susan, that is an incredible photo. Thank you for posting it. we are glad you liked it !!! - half of turtle island will go with it"
my lack of computer ability is very very frustrating !! !